The Hunter of Voramis is the perfect assassin: ruthless, unrelenting, immortal. Haunted by lost memories, he is bonded to a cursed dagger that feeds him power but denies him peace of mind. Within him rages an unquenchable need for blood and death. Blade of the Destroyer is a dark fantasy novel set in the fictional city of Voramis. The assassin for hire known only as the Hunter knows nothing of his past and the secrets behind his ability to heal and longevity. His cursed blade known as Soulhunger hands down a fate worse than death to all those whose lives it takes. However, the Hunter isn’t as invulnerable as he seems and when a seemingly ordinary contract takes his path in a completely different direction, the Hunter discovers not only his missing past but strong enemies that seek to use it, and him, for their own purposes. The world building in Blade of the Destroyer – complete with religion mythology – is excellent and provides the perfect setting for the story. The Hunter is a well-developed and complex character displaying a wide range of emotions – from cold, detached killer to showing compassion to those weaker than him – reminding the reader that underneath the façade he is just as human as the rest of the characters. I really enjoyed reading Blade of the Destroyer. The only thing I would say is I felt the finale dragged somewhat and took a little longer than was necessary. Overall this is a very well-written, dark and gritty fantasy and is an excellent start to the series. Princess Kaiya’s voice could charm a dragon. Had she lived when the power of music could still summon typhoons and rout armies, perhaps Cathay’s imperial court would see her as more than a singing fool. With alliances to build and ambitious lords to placate, they care more about her marriage prospects than her voice. When members of the emperor’s elite spy clan– Kaiya’s childhood friend Tian and his half-elf sidekick (or maybe he’s her sidekick? )– discover mere discontent boiling over into full-scale rebellion, Kaiya must choose. Obediently wedding the depraved ringleader means giving up her music. Confronting him with the growing power of her voice could kill her. Songs of Insurrection is the first novel in the Daughter of the Dragon Throne series. Its main protagonist, Princess Kaiya, is the somewhat naïve daughter of the Emperor who wants to do more for her country than simply marry an arranged suitor as is expected of her. When she meets a foreign visitor to the palace, Prince Hardeep, he convinces Kaiya that she could use her gift of music to help her nation and together they set off in search of the dragon scale lute in the hopes that Kaiya alone can harness its power. I loved rich blend of Chinese art and culture, together with a heroine who clearly finds her feet and gets stronger in character as the story progresses. The author took great care in their world-building which quickly immerses the reader with imaginative description and well-crafted dialogue. The political aspect was very engaging and it would be easy to pity Princess Kaiya’s position, as she herself might, but instead she uses it to her advantage when trying to do her best for her country. The only thing I would say, which is why I couldn’t give it a full five stars, was that there were a lot of characters and I found myself somewhat confused in places at the switching viewpoints and trying to sort out who everyone was and where their allegiances lay. However, this aside, Songs of Insurrection is a very well-written and enjoyable fantasy and I would love to read book 2 in the series. Ancient history meets epic fantasy in an action packed novella of war, magic and one man’s struggle to find himself. Varus is the fiercest soldier in the Roman legion, and the most undisciplined. Fighting Thracian pirates on the high seas, he faces attacks not just from spears and arrows, but from divine magic. With the enemy closing in, Varus faces a desperate battle for survival, made worse by his own divided instincts. Will Roman blades be strong enough to survive against ocean gods? Ocean Gods, Roman Blades is a historical fantasy novella depicting the life and battles of the legionnaire Varus. Unlike many of his comrades, Varus has a bloodlust that enables him to kill many of his enemies, but also causes him to make mistakes that could one day cost him not just his own life but the lives of his fellow warriors as well. As well as telling the story of his squad’s battle against the Thracian pirates, this novella shows how Varus grows as a warrior and a person. I really enjoyed this action-packed tale. Clearly the author has taken a great deal of time in his research to ensure as much historical accuracy as possible. Varus’s character developed nicely as the story progressed and the style and quality of the writing was such that you feel quickly immersed in the middle of the action. My only feeling was perhaps the ending occurred a little too abruptly. It is left open for a sequel though which I would look forward to reading. Vacui Magia: Stories is a collection of magical and supernatural themed short stories. Each tale is very different and all are extremely well-written. The atmosphere of the tales is dark, with plenty of suspense, twists and turns. The characters are written in a way that you are on occasion doubting that what they are exposed to is real and feeling their inner conflict as they experience similar uncertainties. Each story is well-paced and quickly draws the reader in. Some of the endings are a little ambiguous and leaves it up to the reader to draw their own conclusions, which adds to the magic of the tale. Vacui Magia: Stories is a highly-recommended read for all fans of dark magic and supernatural. When humans began hunting them thousands of years ago, demons locked themselves away in their own dimension, leaving their half-demon spawn to wander the earth. Abandoned, alone, and outcast from all societies, half-demons formed their own small cities or learned to live, mutilated and hidden, from the humans who wanted them dead. After saving a stranger in a busy New York street, Cherifa reveals to the world her two biggest secrets: she’s a half-demon, and she can’t die. With humans, demons, and everything in-between wanting to harness her power, Cheri must go on the run with the eccentric person she saved. But her death has sparked waves of revolution in the half-demon community, and if she wants to stop an interdimensional war, she’ll have to go through Hell to do it. I had mixed feelings about this novel as I reached its end. Some things I enjoyed and others I was not so keen on. The concept and characters I really liked. The author has clearly taken time to develop her ideas and characters. Cherifa, the protagonist, is a half-demon who cannot die. By saving the life of a stranger Cherifa places herself in the middle of a war where all sides wish to use her to their advantage. Not knowing who to trust Cherifa must make decisions that not only affect her but possibly the outcome of the war. The characterisation is excellent and as the novel progresses you see Cherifa and the supporting cast growing and developing further. I really enjoyed the beginning of the relationship between Cherifa and Belkor. It happened so naturally and wasn’t rushed at all so you can really appreciate the little moments between them and recognise them for what they are even before they do! However, I did feel that perhaps there could have been some further description of the dimensions in some places as I was left trying to fill in a few more blanks than I would have liked too. I also did feel that the pace was hurried and that a little more time could have been taken to develop the story-line in places. 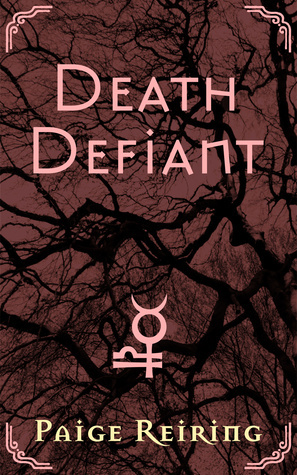 Overall Death Defiant is a good fantasy read with an engaging plot and interesting characters, but there are some things that I felt could made it even more enjoyable for me. This is probably more for readers who prefer a faster pace, but I would definitely like to read more of Cherifa’s story in the future. Inspired by the rise of dark forces in Sheng Fan, the mystic Xu Liang, officer of the Empire, servant of the Song Dynasty, leaves his homeland in search of four ancient magical blades to unite with two sacred weapons already in the possession of the Empire. It is his plan to unite these weapons against the chaos rising in Sheng Fan. What he does not plan on is uniting the swords’ bearers as well, nor the many forms chaos has taken throughout the world. Six Celestial Swords is the first book in the Celestial Empire series, and the first published in the larger Dryth series. Six Celestial Swords on www.goodreads.com. When I first began reading this novel, I was expecting to read an oriental tale but instead I found myself quickly immersed in an epic fantasy adventure. Mystic Xu Liang sets out to retrieve the four missing celestial swords which have the power to save his empire. With his loyalty to his empire and empress driving him, Xu Liang is determined to complete his mission no matter what. His journey across realms sees him forming alliances with others who possess the swords that he has been searching for. 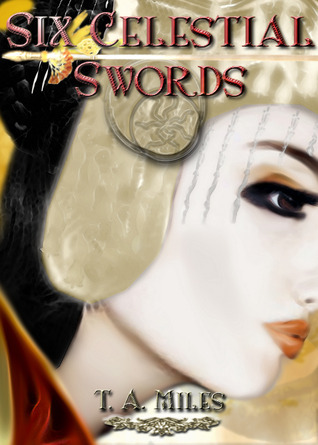 Six Celestial Swords is an incredibly well-written and gripping fantasy novel. It is full of wonderfully detailed and beautiful descriptions that really bring the story to life and many memorable characters. The novel kept a steady pace with plenty of action and twists and turns. I thoroughly enjoyed reading Six Celestial Swords and can’t wait to read the next book in this amazing fantasy series. A lyrical, original fairy tale for all ages, with a cast of characters you won’t soon forget. The witch who made the patchwork girl died before she could give her creation a name. Stitched together from the remains of the villagers’ dead children—whose memories still live in her flesh—the patchwork girl is a spell as yet unfinished, held together by nothing more than a ring made of moonbeams. She can never be what her parents want her to be: a replacement for the children they’ve lost. So when the poppet grows up, and grows tired of being a disappointment, she decides to embark upon a journey through the Everwood Forest in search of her real name. In the forest she meets Faolin, a newly made wereman (a man trapped as a wolf except during the full moon) running from the beasts who made him. Wanting nothing more than to become human again, and to return to his fiancée, the patchwork girl promises to help him in his quest is he will help in hers. Together they face the dangers of the forest, forming an unlikely bond as their paths wind together: Faolin running from his destiny, the patchwork girl in search of her own, and both of them bound by moonlight. But Faolin, afraid of the beast he has become, has known all along what he must do in order to lift the curse and return to his fiancée-in fact, it is the very reason he sought out the patchwork girl to begin with. But now, his cure has become the very reason why he must leave her: to protect her from himself. 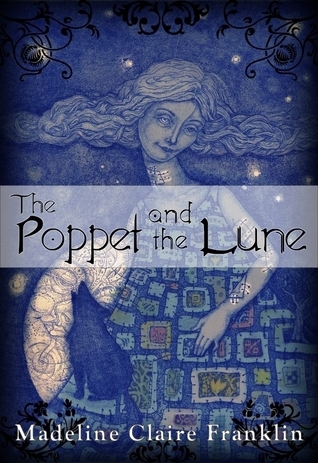 The Poppet and the Lune tells the story of Elizabeth, the patchwork girl who wishes to find her own place in the world. The patchwork girl was not born, she was created by a witch on the demands of the grieving villagers who had just lost their own children. The witch died before she could finish or name her creation and so the villagers called her Elizabeth; a name that did not feel was her own. As time passes and the women of village have more children, Elizabeth begins to feel outcast and so she leaves the village behind. The Poppet and the Lune is a delightful modern fairytale telling of Elizabeth’s journey that will appeal to children and adults alike. The style and description used in the novel flows beautifully, although in a couple of places it could have been shortened in favour of moving the story forward at a slightly faster pace. The characters are very imaginative and each one is memorable in their own way. This is a review of the audio version of The Poppet and the Lune and I would also like to comment on the narration read by Elizabeth Basalto. Elizabeth did a wonderful job of bringing the story of The Poppet and the Lune to life. She demonstrates her immense talent in the role of each character and the narrator’s part perfectly. I would recommend the story of The Poppet and the Lune to anyone who enjoys a modern fairytale that does not shy away from the darker sides to life.